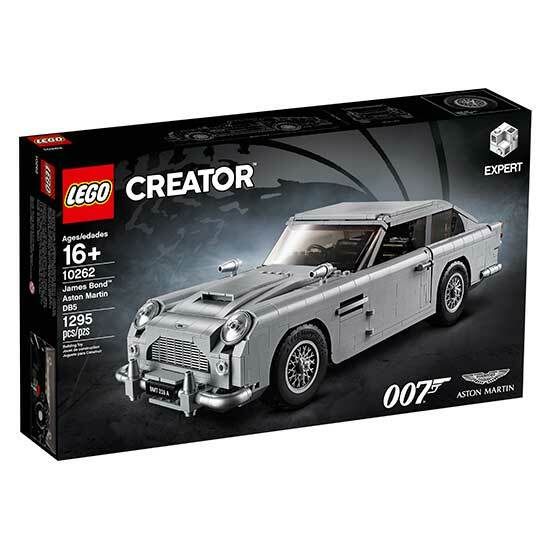 MI6 Competition: MI6 has teamed up with LEGO to give away one of their much sought-after James Bond Aston Martin DB5 LEGO Creator Expert sets. Featuring a wealth of authentic gadgets and gizmos all created in Q’s workshop, the model has been designed to provide a challenging and rewarding building experience full of nostalgia—a must-have for fans of Aston Martin, James Bond movies, and LEGO building sets. LEGO Must Be Won: To enter for your chance to win a James Bond Aston Martin DB5 LEGO Creator Expert set, simply answer the question below along with your name, city and country in an email to [email protected]. In how many James Bond films has an Aston Martin DB5 appeared? Terms & Conditions: THE COMPETITION CLOSES AT MIDNIGHT GMT ON 31st AUGUST 2018. MI6 WILL CHOOSE THE WINNERS AT RANDOM FROM THE CORRECT ANSWERS RECEIVED. THE WINNERS WILL BE CONTACTED VIA THE EMAIL ADDRESS SUPPLIED AND THEIR POSTAL ADDRESS WILL BE REQUESTED. IF A WINNER FAILS TO RESPOND WITHIN 7 DAYS OF PRIZE NOTIFICATION, ANOTHER WINNER WILL BE CHOSEN UNTIL ALL PRIZES ARE ALLOTTED. COMPETITION IS OPEN TO MI6 READERS WORLDWIDE. ENTRANTS MUST BE AT LEAST 13 YEARS OF AGE.